B1091. J. FREESTONE & H.J. DRUMMOND. 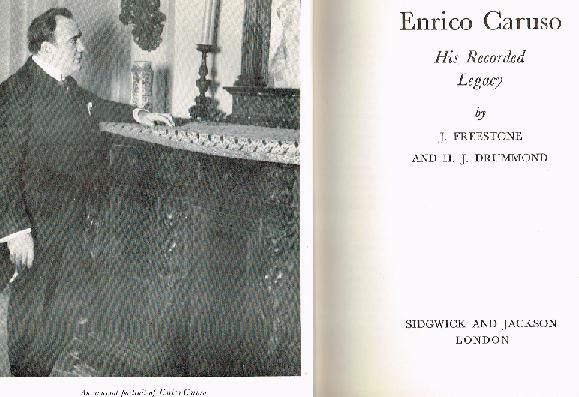 Enrico Caruso: His Recorded Legacy. Minneapolis, Denison, 1961. 130pp. Index; DJ in mylar.